This my second paper highlight and the choice for this week was quite easy. I'm very happy to briefly discuss a paper recently published in PNAS by a friend of mine, Mike Montague at Washington University School of Medicine, St. Louis. Mike and I were graduate students together at NYU and it's great to see his hard work published. What's about? The paper addressed a very interesting question regarding the domestication of cats. As we all know many animals underwent artificial selection as a consequence of domestication by humans. However, while animals like dogs had a long domestication history, likely focused on selecting specific physical characteristics, cats remain quite similar to their wild relatives. So what actually happened during this relatively recent domestication process? 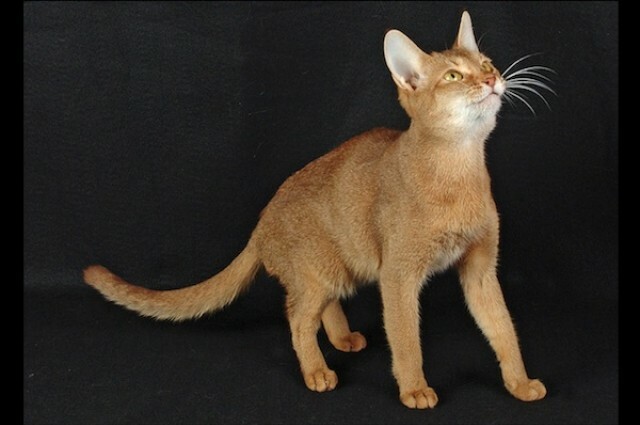 Which specific gene families showed evidence of selection in the cat genome? To answer these questions, Mike and colleagues sequenced the entire genome of a domestic cat and compared it with other mammalian genomes including tiger, dog, cow, and human. 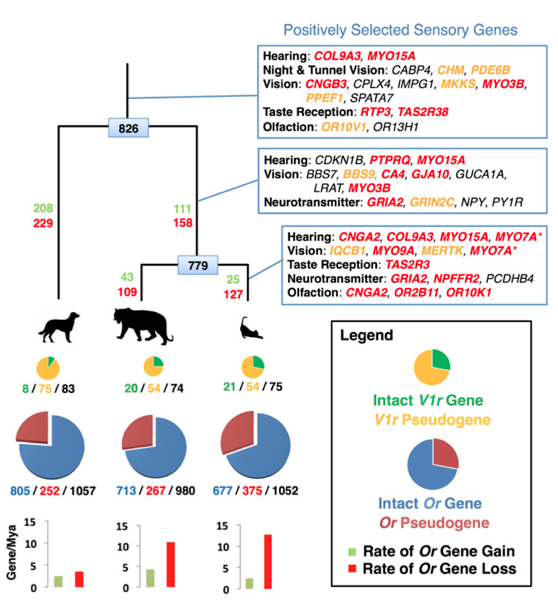 [... ] observed an evolutionary trade-off between functional olfactory and vomeronasal receptor gene repertoires in the cat and dog genomes, with an expansion of the feline chemosensory system for detecting pheromones at the expense of odorant detection. I find this result extremely fascinating, not only because I have a very strong interest in the evolution of sensory systems, but also because it supports the importance of pheromones in socio-chemical communication in cats. Other important finding was the identification of positive selection in genes involved in lipid metabolism probably related to adaptations to a hypercarnivorous diet. ...associated with gene knockout models affecting memory, fear-conditioning behavior, and stimulus-reward learning, and potentially point to the processes by which cats became domesticated. Yeah basically those genes that - possibly - made your kitty a little bit less wild! Why is it important? This study represents an important step towards a better understanding of the domestication process. Especially it suggests that the main force in driving the domestication process in wild cats was the selection for docility. In contrast to other animals, such as dogs, cats have a quite recent domestication history and likely not as intense. The domestication process for cats was mainly a consequence of becoming accustomed to humans for food rewards. This, together with the limited isolation with wild populations (a domestic cat is not that different from a wild one after all) might explain why your cat still remains a little bit feral.